We kept the cake simple this year. Two 8 inch rounds, frosted with cream cheese buttercream and spray painted gold with food coloring spray paint. 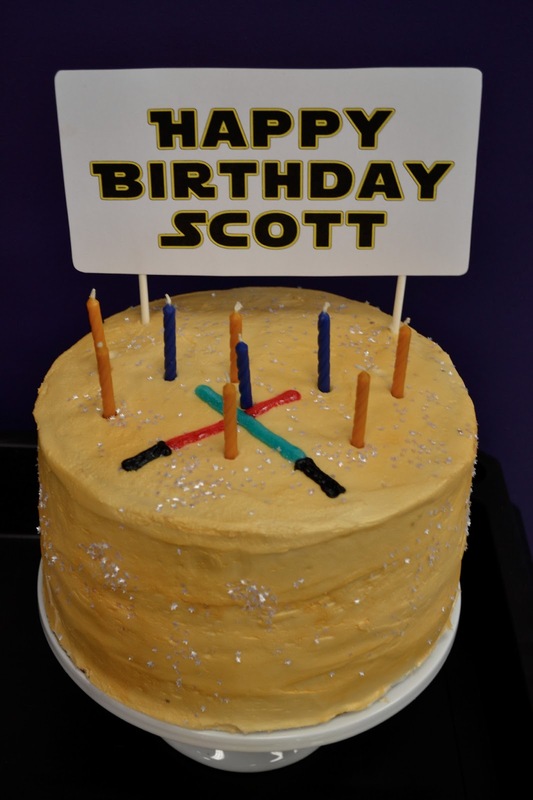 Topped with silver star sprinkles, a couple of light sabers made with gel frosting, and a birthday sign. The birthday boy loved it and it was so easy to make. Win win!